As we showed you, Porto has a lot of things to be seen. Wouldn’t it be great if there was an easy, cheap and simple way of moving around inside town? What if we told you that it exists? Porto Card is a tourist card that combines tourist options and free public transport within a period of 1 to 4 days. We'll tell you everything you need to know about this, which is the best tool for any visitor who arrives at Porto. 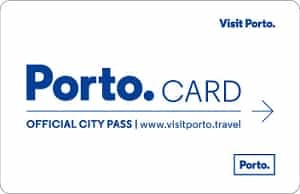 The Porto Card has several advantages because, in addition to guaranteeing free access to all public transport in the city of Porto, the card also offers hundreds of advantages and discounts. In addition, you will get a free official map of the city. There are over 100 different places of interest where you can get different discounts, such as restaurants, shops, museums, shows or in the famous Port wine cellars. For example, there are 11 museums in which the entrance is totally free for Porto Card’s holders, while in other places the discount can go from 20 to 50 percent. Please note that the Porto Card has one exception: the tram is not included in the list of free public transports. However, you can use the card to travel without paying in all metropolitan areas of Porto, including Valongo and Espinho, for example. For 4 days, the Porto Card costs 15€ without transports or 33€ with transports. There are several places where you can buy your Porto Card, but the best one is through the official application. In addition to being able to buy it anywhere, from your mobile phone, you will still get a 5 percent discount. But please, note that you must always pick up your Porto Card because you will need it when you use the public transport, so we advise you to always bring the card with you. If you buy your Porto Card via the APP, you can go and get it at the Tourism Office at Rua Clube dos Fenianos 25, Porto. 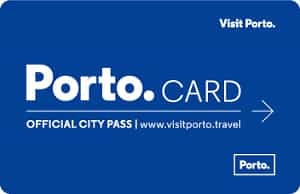 If you prefer to buy the Porto Card using the “traditional” way, you can do so at any tourist office, at the train or bus stations and, of course, at the airport. The list is very long and you can consult it here. As you can see, there are several advantages of acquiring the Porto Card for your visit to Porto. The main one is obviously its attractive price and the unlimited access to the entire public transport network of the city which is quite modern, organized and complete. Besides being easy to be bought, it offers you a wide cultural offer to enjoy the rich culture of Porto, local gastronomy and a whole world of tourist circuits. The Porto Card is the ideal option for those who travel with family, with children or accompanied by their soulmate, since it has offers for all audiences and tastes. The options are quite flexible to be adapted to all desires and motivations. If you have any doubt, customer support is very helpful in all tourist offices in Porto. ARE THERE OTHER ALTERNATIVES TO PORTO CARD? Yes, you have the Andante and the Andante Tour, it costs less but it only gives you access to the Porto’s public transport.